Emmett the Donkey survives Full Throttle bar fire: Sturgis, South Dakota institution reduced to smoking ruins. A sculpture outside the Full Throttle Saloon in Sturgis, South Dakota, which was destroyed by fire Tuesday. 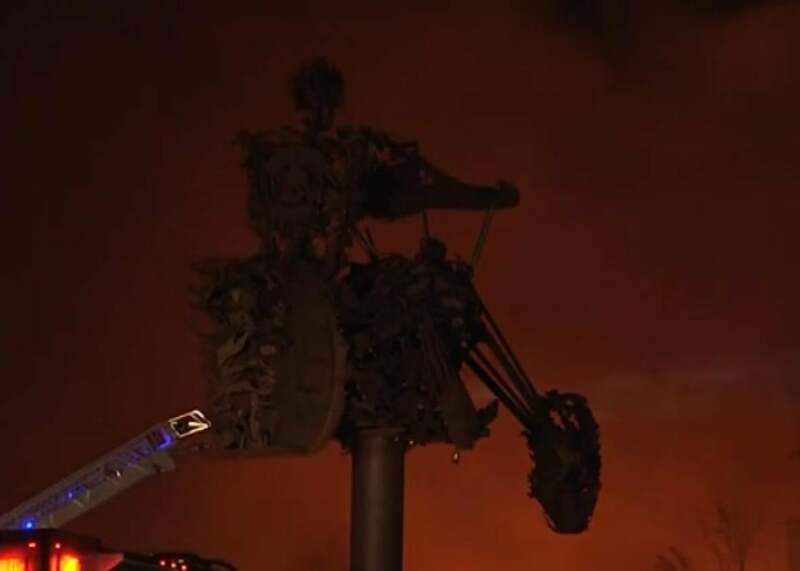 A massive biker bar in Sturgis, South Dakota that was the subject of its own reality show was completely destroyed in a fire Tuesday, ABC affiliate KOTA reports. Full Throttle Saloon, billed as the “world’s largest biker bar,” was an institution among motorcycle enthusiasts who gather in Sturgis every summer for its world-famous rally. The cause of the blaze, which reduced the mostly wood structure to smoldering debris, is under investigtion. CNN reports that there were no injuries, though firefighters, responding from six different departments, were forced to retreat for a time due to the ferocity of the fire. One person sleeping on site woke up in time to evacuate safely. Also found unharmed after the fire destroyed his home: the bar’s mascot, a very lucky donkey named Emmett. Rhett Rotten rides his motorcycle in the barrel-like Wall of Death during his stunt show at the Full Throttle Saloon during the 61st annual Sturgis Motorcycle Rally, Aug. 11, 2001. Full Throttle, like its patrons, lived for the seven days every summer when Sturgis is mobbed by bikers. 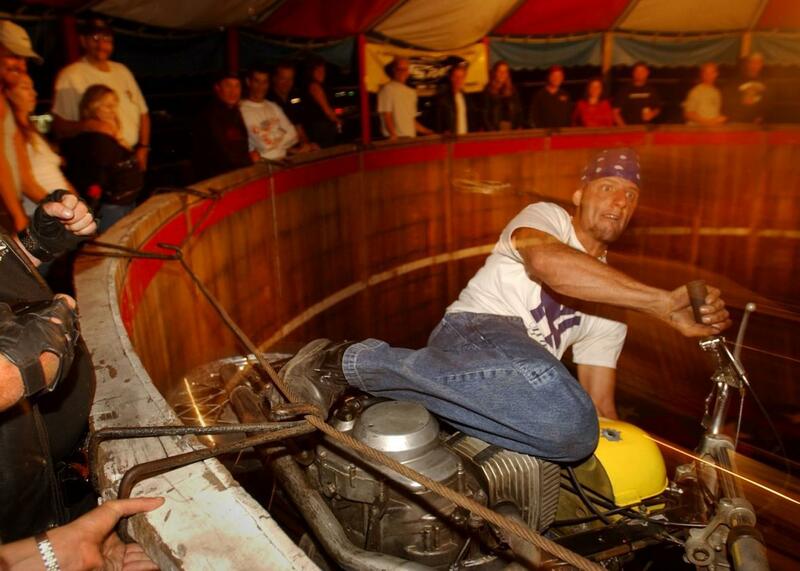 For a few weeks per year around the time of the rally, Full Throttle was as much a raucus carnival as a drinking establishment, with stunt performers riding motorcycles around the barrel-shaped pit known as the Wall of Death and revelers flung around the night sky on an Ejector bungee ride outside. Full Throttle’s many attractions, including zip lines and a tattoo parlor, reportedly brought in up to 15,000 patrons per night at the peak of the festivities. From 2009 to 2013, the adventures of the bar’s owner, staff and patrons were documented in the TruTV reality series Full Throttle Saloon.